Comment: I need a new gutter system installed. There is some rotted wood and soffits that needs replacements too. I also have a porch beam that needs to be rewrapped. Comment: I moved into the home in October of this year. The previous owner was elderly so, I believe wasn't able to get some things done that needed to be done. The home was built in the 1920's and has had additions at some point so may be challenged in areas, but need new gutters. Comment: Install residential gutters and downspouts and. Comment: Replacing gutters on a duplex I just purchased. South Bend Gutter Cleaning & Repair Services are rated 4.61 out of 5 based on 147 reviews of 6 pros. 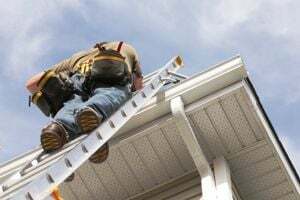 Not Looking for Gutters Contractors in South Bend, IN?